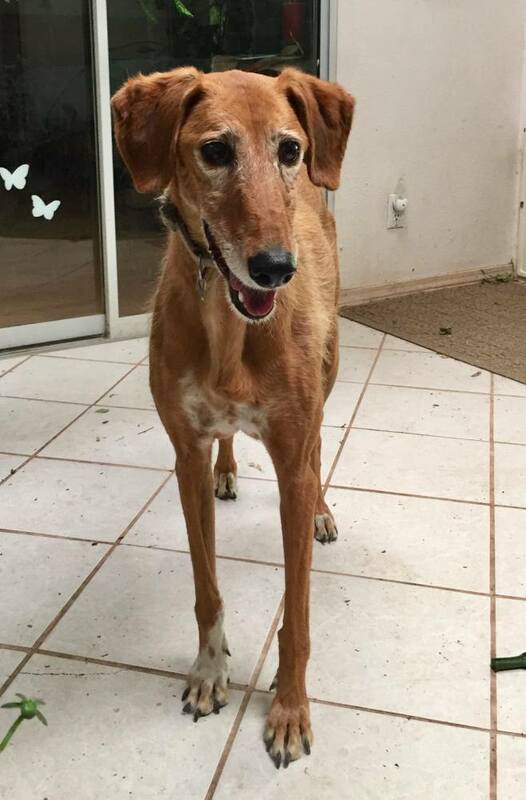 Cody is a female red smooth Saluki, about 8 years old +/-, who is being fostered in NM. She is sweet, very shy-spooky and will need a very patient loving experienced home with a securely fenced area to let her settle in and blossom. She will be a wonderful companion for the right home. Cody has been adopted. All the best to her and her new family.